Ms. Toni Cascio is the Coordinator of Quality Improvement and Faculty Development at the LSU Health New Orleans School of Nursing and holds the rank of Instructor. Ms. Cascio earned a Bachelor of Science in Nursing from the LSU School of Nursing in 1973 and a Master of Nursing with a major in Adult Health & Illness from the LSUMC School of Nursing in 1984. Ms. Cascio’s clinical practice focused on adult cardiovascular critical care with a special interest in electrocardiography. She also worked in staff development roles and in management at the Director level before moving to the academic arena where her work focuses on quality improvement and faculty development. Ms. Cascio was a key contributor to hospital-based work focused reaffirmation of accreditation by The Joint Commission. More recently, she has been a key contributor to academic projects focused on initial or reaffirmation of accreditation by the Southern Association of Colleges and Schools Commission on Colleges, the Commission on Collegiate Nursing Education, the Council on Accreditation of Nurse Anesthesia Educational Programs, the Society for Simulation in Healthcare, and the American Nurses Credentialing Center’s Commission on Accreditation. During her years in staff development, Ms. Cascio created and taught several CNE-approved modular critical care courses and developed frameworks to guide new graduate nurses through their orientation. She was a local, regional, and national speaker on topics related to electrocardiography and adult cardiovascular critical care. As a Director in the clinical arena, Ms. Cascio was administratively responsible for multiple departments that supported nursing practice. One of Ms. Cascio’s current academic roles focuses on the creation, implementation, and maintenance of the School of Nursing’s Quality Improvement Plan and all of its supporting processes and documents. She is also a Nurse Planner in the SON’s Faculty Development, Continuing Nursing Education, and Entrepreneurial Enterprises Department, an ANCC-approved Provider Unit. Ms. Cascio presents a guest lecture on staff development in healthcare organizations for MSN Nurse Educator students as well as guest lectures on quality improvement in advanced nursing practice for DNP students from all advanced practice concentrations. 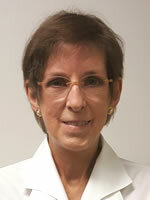 Ms. Cascio is a member of several professional organizations, including the American Association of Critical-Care Nurses (emeritus member), the American Nurses Association, the National Association of Healthcare Quality, the Association for Talent Development, the Association of Nursing Professional Development, and Sigma Theta Tau, International (Epsilon Nu Chapter). She received a Nightingale Award as Mentor of the Year in 2005, was selected as a Great 100 nurse in 1990, and received other individual and group awards over the years. Ms. Cascio’s publications focused on adult cardiovascular critical care and electrocardiography. She authored chapters in a major adult health nursing textbook and co-authored ECG Assessment and Interpretation, a book on electrocardiography designed for clinical practitioners from nursing and medicine. She was a manuscript reviewer/consultant for Mosby, Mosby-Year Book, and W.B. Saunders Company. Ms. Cascio’s presentations focused on topics related to care of cardiovascular patients and different aspects of electrocardiography as well as on clinical precepting and patient education.